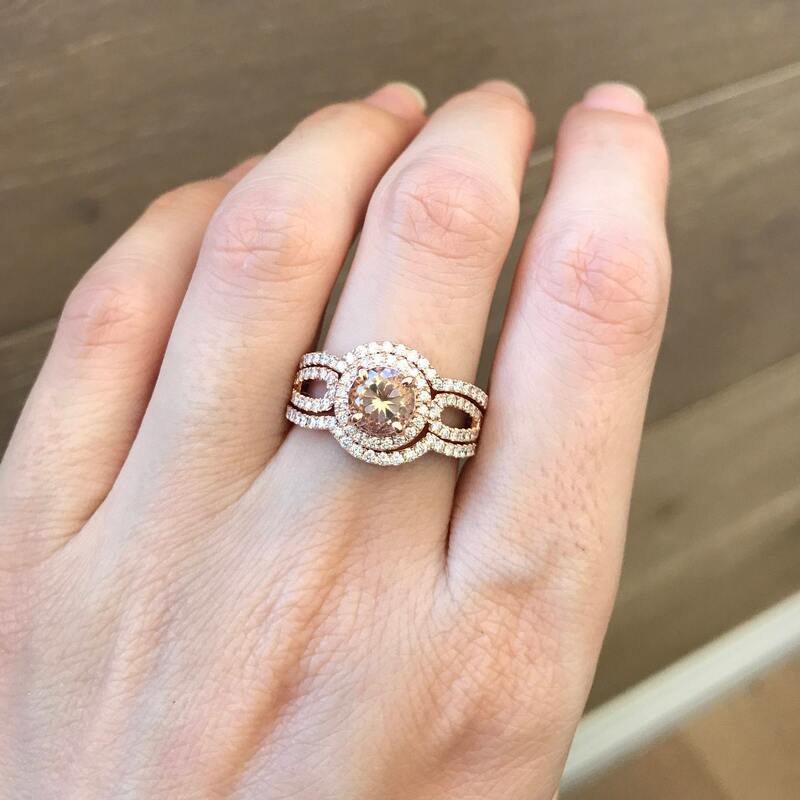 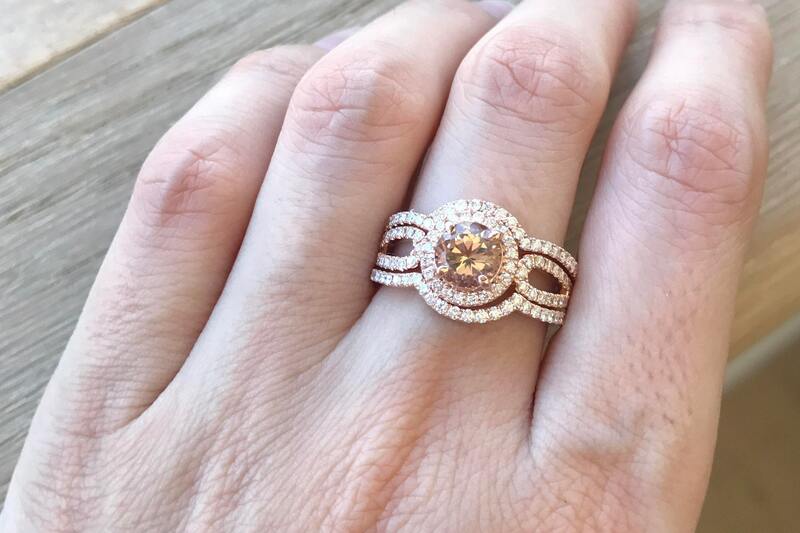 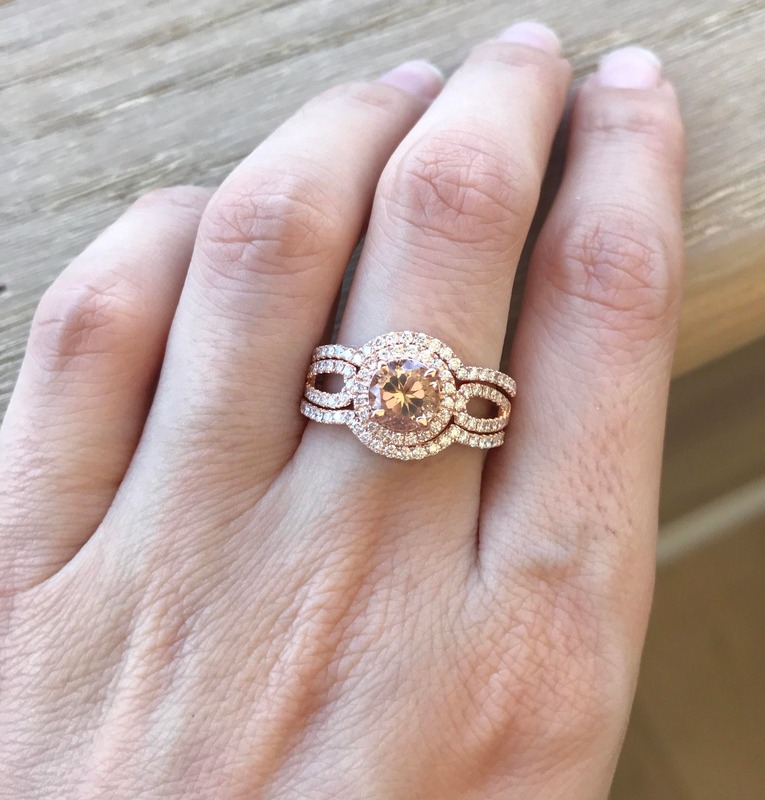 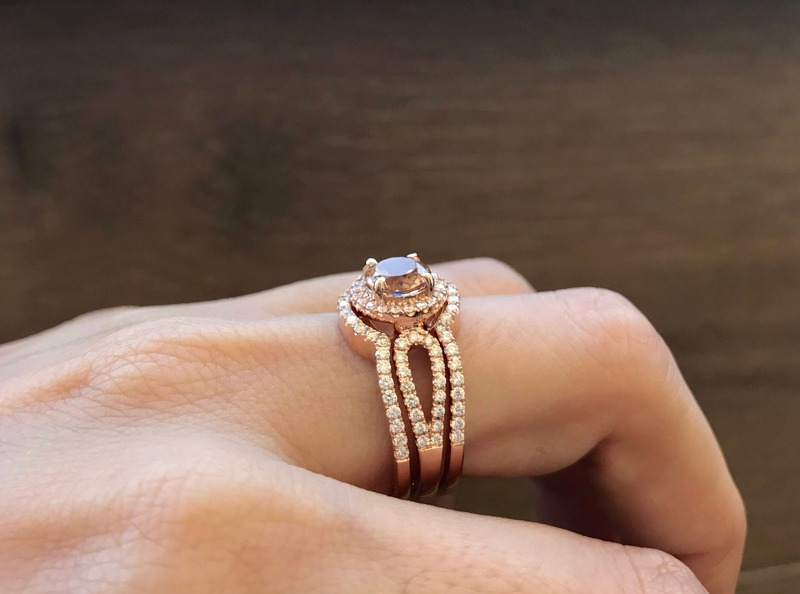 A stunning 14k rose gold Morganite Bridal set complemented with a divine halo of round diamonds which continue along a double shank. 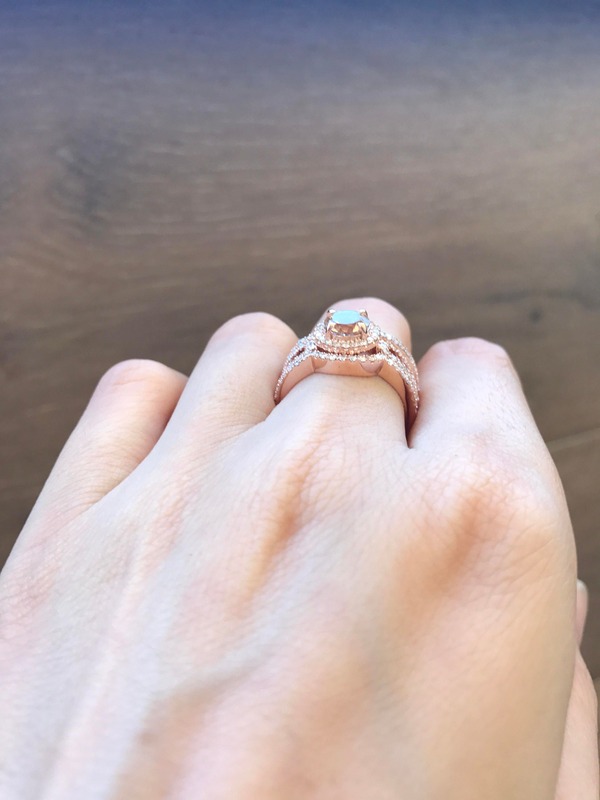 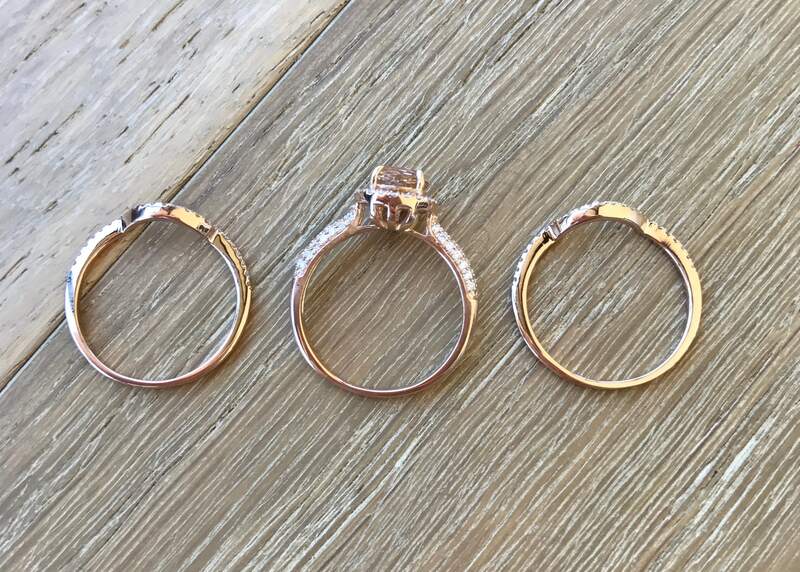 The engagement ring is paired with 2 matching bands which makes this a unique bridal set for her. 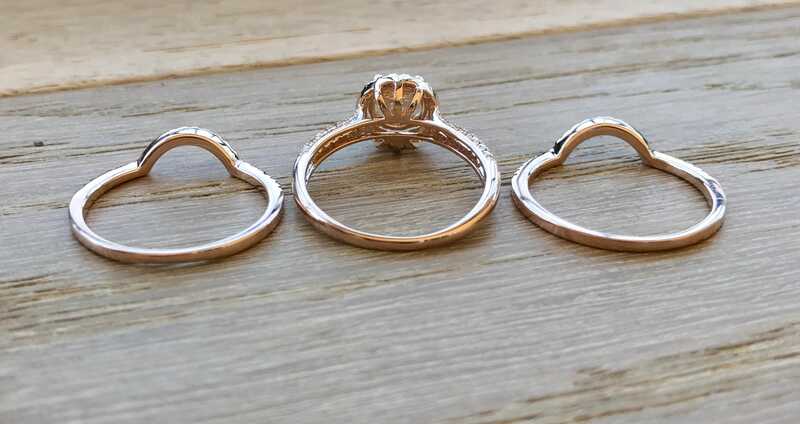 Wrapped in a Box ready for proposing to your love one or gift giving.